This weekend's BT Premiership action takes Ayr to Bridgehaugh where they will face Stirling County. Ayr started the new year with a massive win over league leaders Melrose and will look to emulate that inspiring form this weekend. 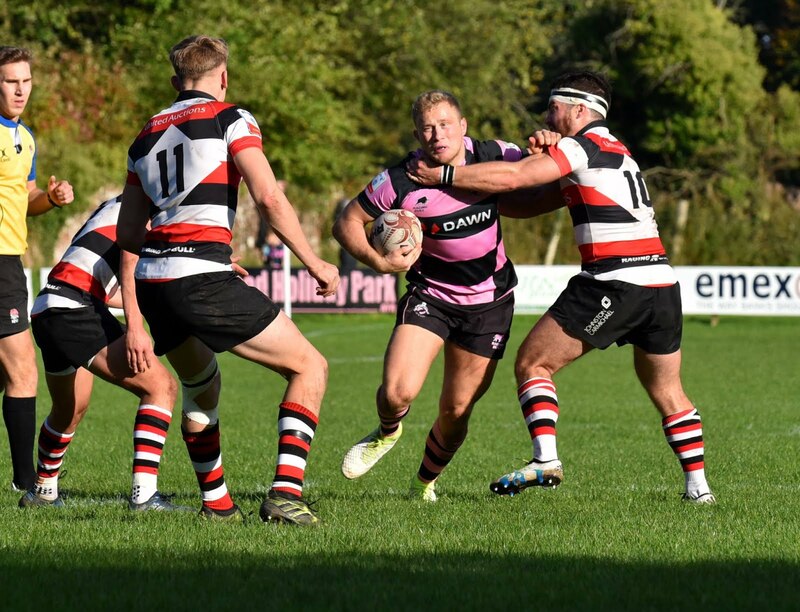 A Stirling side sprinkled with ex-millbrae men, including former captain Ross Curle, will know Ayr's personnel inside-out which will lend itself to a fiercely competitive match-up. With the regular season beginning to reach its natural conclusion both sides know every point is vital in the hunt for a play-off spot. Ayr are currently in fourth, with their eyes on a home semi-final and Stirling sit in sixth, 12 points off the play-off pace. Ayr will find great confidence in more players returning from injury. Frazier Climo returns to start at fly-half and Danny McCluskey will be looking to inject some pace into the game from the bench. The 2nd XV are also away to Bridgehaugh and will look to get back to winning ways after a narrow defeat to Glasgow Hawks 2s last weekend- Harry Warr drops down to captain the side. Ayr's 1XV: Grant Anderson (C), Paddy Dewhirst, Scott Lyle, Stafford McDowall, Craig Gossman, Frazier Climo, David Armstrong; Robin Hislop, Robbie Smith, Steven Longwell, Jonathan Agnew, Rob McAlpine, Tommy Spinks, George Stokes, Blair Macpherson. Subs: Lewis Anderson, Ryan Grant, George Hunter, Danny McCluskey, Matt Davidson. Ayr's 2XV: Johnny McCorkindale, Sam Gray, James Armstrong, Sam Graham, Jamie Bova, James Pinkerton, Harry Warr (C); Fraser Miller, Stuart Collier, Ruairidh Sayce, Michael Badenhorst, Alan Miller, Craig Brown, Seth Rae, Cameron Reece. Subs: Ben Paterson, Zander Howie, Zac Howard, Lewis Young.